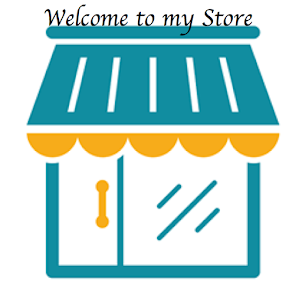 I have been so eager to share the actual promotion with my current customers I created a concept called A Workshop in a Bag!! 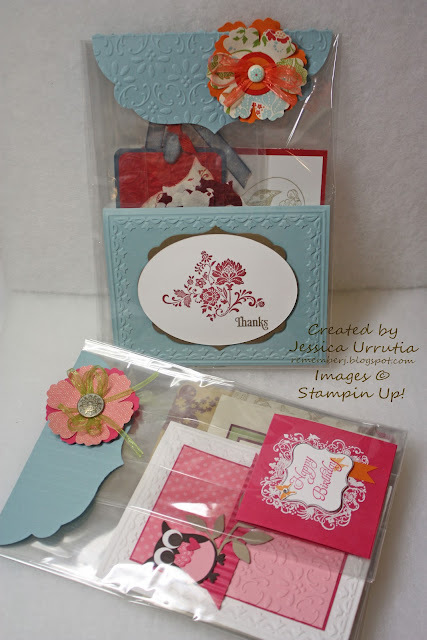 In it you will receive 1 catalog, current mini catalogs, Saleabration catalogs, order forms, 6 make and takes with prepared materials, a video or pdf of the project shown, samples and hostess gift for you to be able to show your friends the wonderful products Stampin' Up! 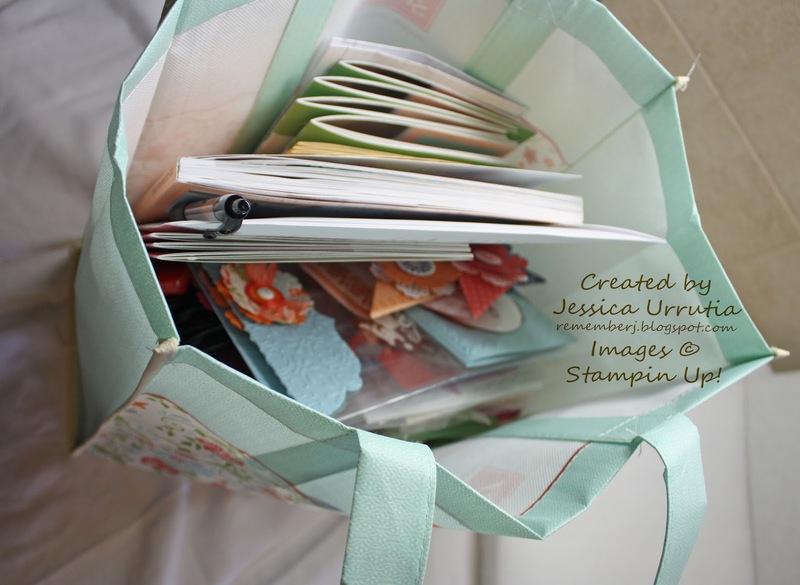 is offering currently and get orders for your own WORKSHOP IN A BAG. 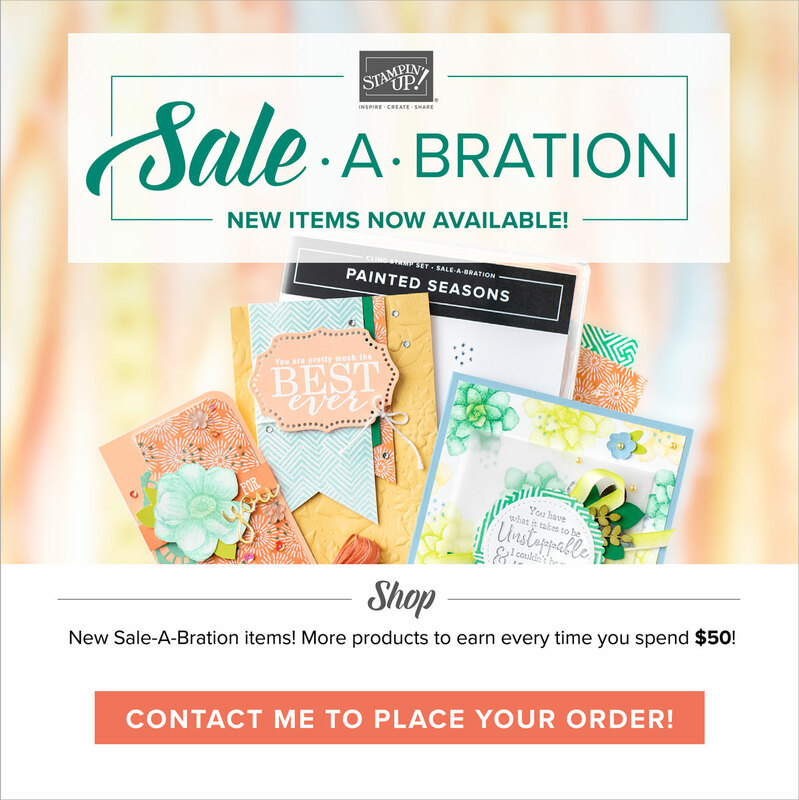 Sale-a-bration is a terrific opportunity to share with others your love of stamping and get some FREE products indeed. Here some pictures of my WIAB using the new SAB bag that hostesses can get with a workshop sales of $150. Let me show you how easy it is!! If this inspires you a bit leave me your love with your comments and visit my store to get the products you need...that way you bless me!! Making my Workshop in a Bag!! 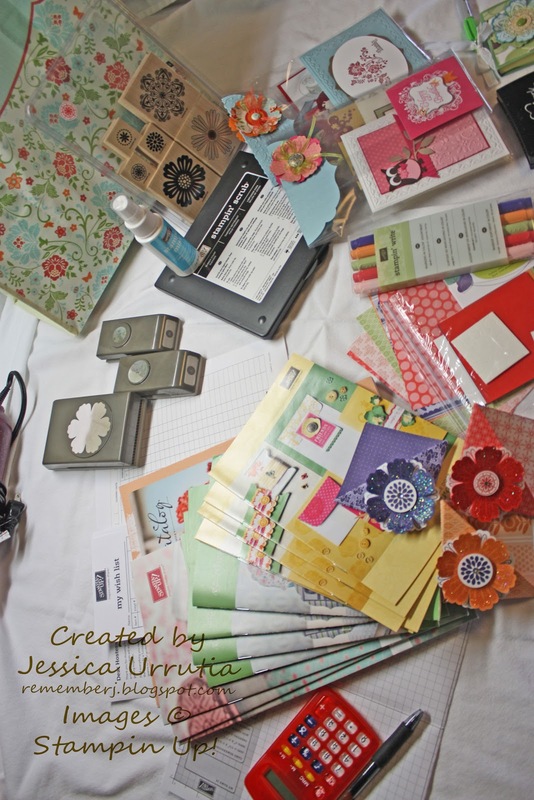 It has everything ready for a personalized workshop!! So exciting and fun!! This is the fabulous Make and Take I will be showing my hostesses how to make and share. You will be able to use the wonderful Iridescent Ice Embossing Powder with SU new Blossom Punch and Mixed Bunch Stamp set. They coordinate!! Don't you just love THAT! I do!! Birthday card for a sweet friend. 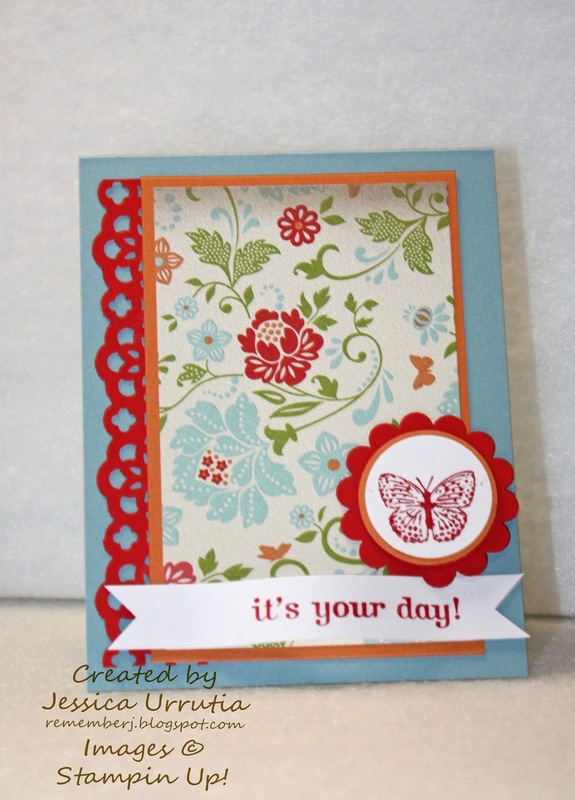 Featuring the Sale-a-bration DSP, Lace Ribbon Punch, and the beautiful Kindness Matter Stamp set for the butterfly and Happiest Birthday Wishes (hostess set) for the sentiment. Everything for the WIAB inside the Hostess bag featuring the beautiful SAB designer series paper. Loove it!! One of my newest favorites. The Elegant Bird Die. 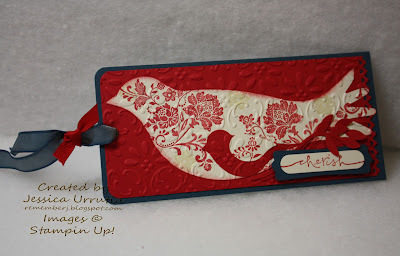 Here I used inlaid embossing. 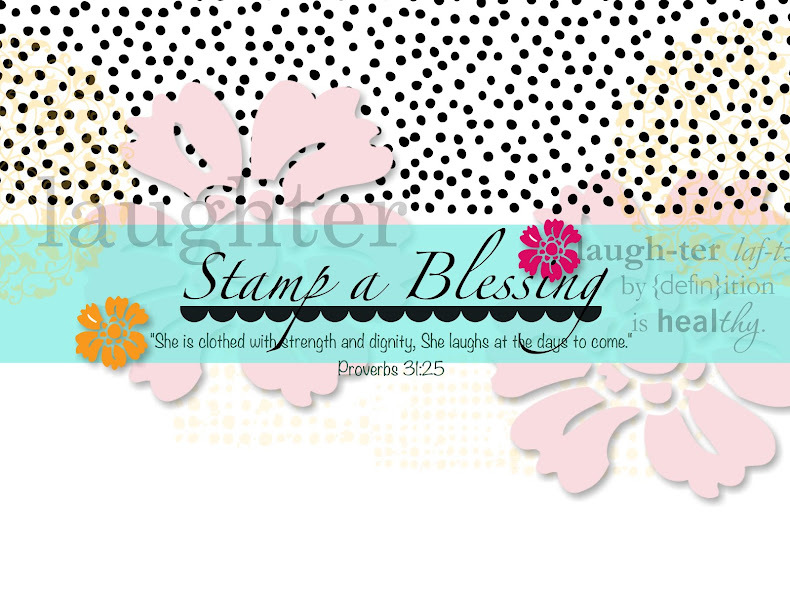 With the Vintage Expression Stamp set from SAB. Hope you like this bookmark. Sweet! The samples to show your friends during your WIAB. 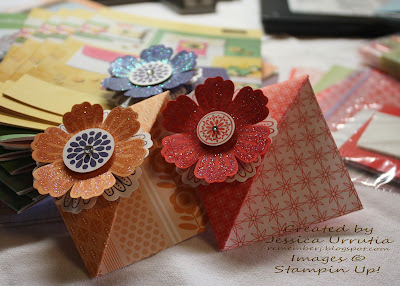 I made two samplers with several different stamp sets. Used the new Blossom Punch from the Occasions mini to make the flowers. Don't miss it! The beauty of stamping...the possibilities are endless. I LOVE the bookmarks you made, and the Youtube Video. Could you please tell me which papers you used to make the corner bookmarks? Thanks! Please keep making tutorials! They are great! Oooh Christy, so sorry Im replying so late! The papers are the 2010-2012 Stampin Up In colors. You would find them in Clearance right now. Thanks and many blessings!